STRESS IS THE second most frequent reason for people taking time off work. After injuries or pain in employees’ muscles, neck and back, work-related stress accounts for 50% – 60% of all lost working days. Over a 9-year period, nearly 28 % of European workers reported exposure to psychosocial risks that affected their mental well-being, finds a new report by the European Survey of Enterprises on New and Emerging Risks (ESENER). The report reveals that while around half of larger organisations have established procedures for dealing with psychosocial risks, the proportion of smaller organisations with measures in place is only 20%-30%. Patricia Murray, Occupational Psychologist with the Health and Safety Authority (HSA) said that in today’s modern workplace, a certain level of pressure is completely normal and to be expected. However, when this pressure develops into a persistently stressful working environment, with little or no supports in place, people can find it difficult to cope and some may develop a range of health issues as a result. And, as with most potential health issues, it is much better to take a preventative approach. 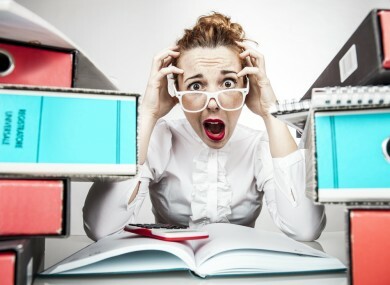 For the employee, work-related stress can result in poor mental health, burnout, concentration difficulties, problems at home, drug and alcohol abuse and poor physical health. The business suffers too, from poor overall business performance, increased absenteeism and increased accident and injury rates. “The goal of any employer should be to ensure that workplace activities are not unduly adding to the issues facing any employee or group of employees. It makes clear business sense,” said Murray. No employee’s workload should be so high that he or she will constantly have to work overtime. No employee has to work in an environment which is unsafe and in which they have a reason to be worried about accidents. Everyone knows what their core job is. Employees are trained so they can do their jobs. There is a fair system of reward in place across the business. Mini-Poll: How stressful is your work? Email “Stress is making a lot of you take time off work”. Feedback on “Stress is making a lot of you take time off work”.